In recent years in Ghana, we have seen an increasing amount of freight and goods being transported by semi-trailer trucks. 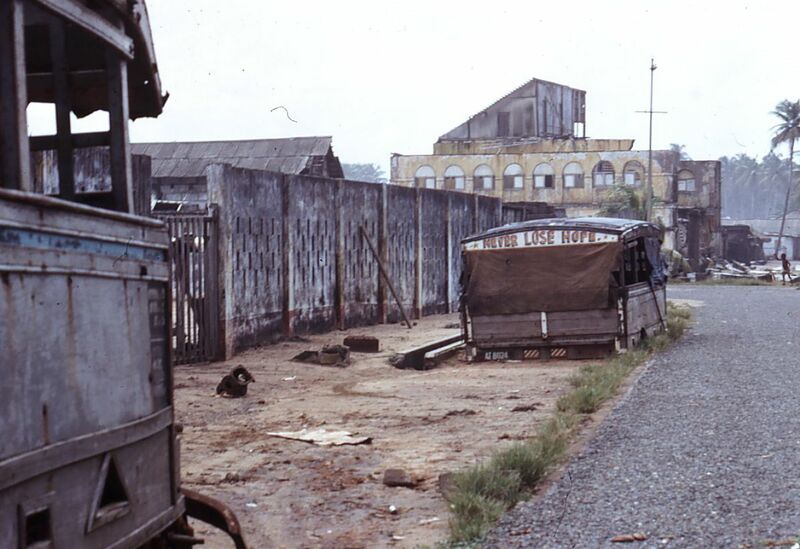 Not so many years ago, that work was done by conventional single axle trucks (lorries). 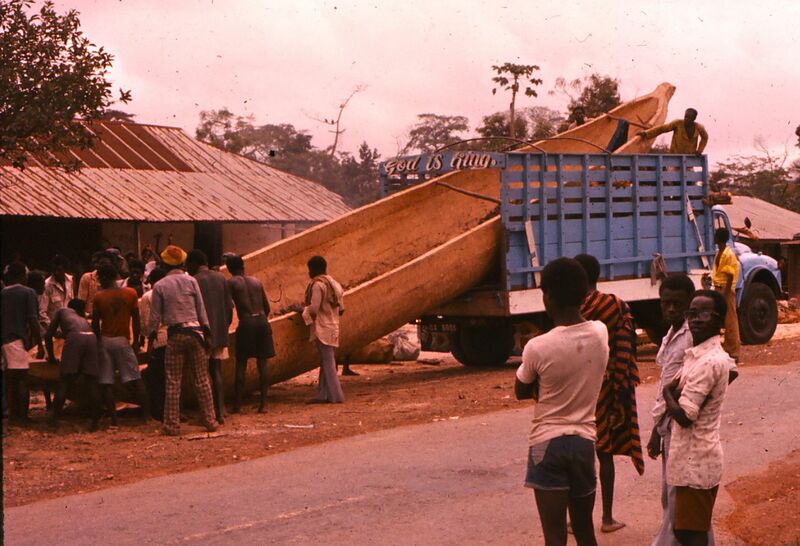 Drivers and their mates prided themselves in their great ingenuity and dedicated perseverance to ensure that no load was too big or too difficult to haul. 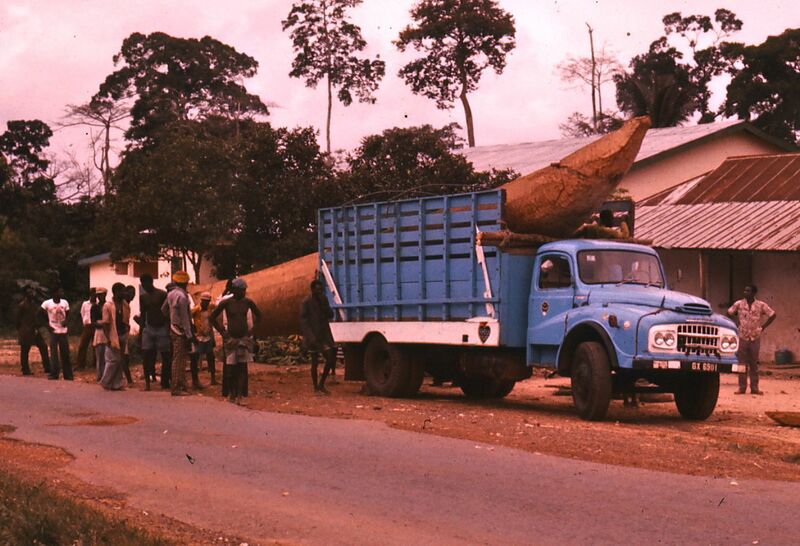 During one of my stays near New Edubiase during the 80’s, a dugout canoe was brought out of the forest, to be taken to its destination on the coast where it would be used for fishing. 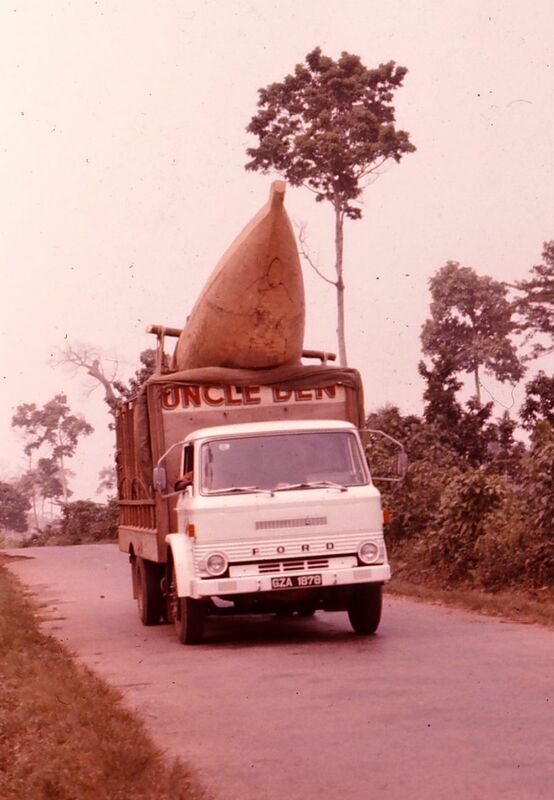 Considering that the canoe was more than twice the length of any truck on the road at the time, I wondered how it would make the journey. 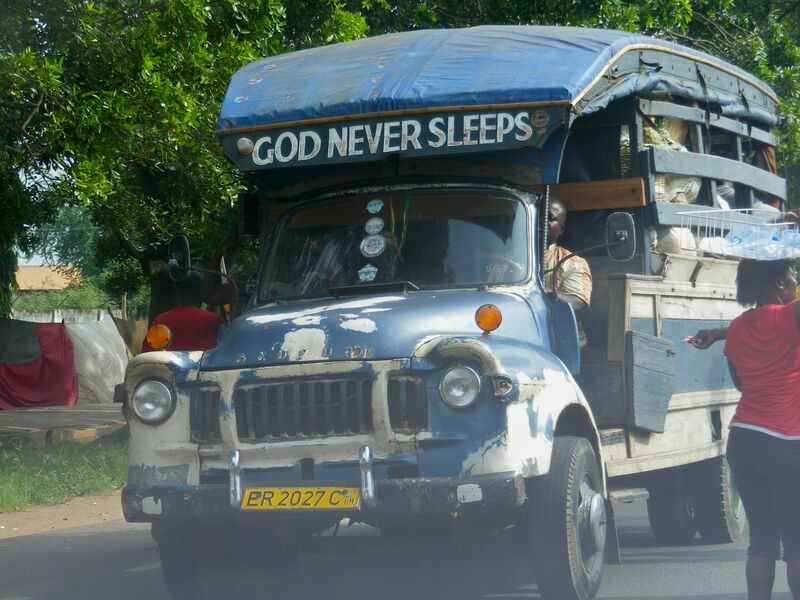 However one day, “God is King” showed up, and with the help of many willing hands, it was moved on board and set off on its journey south. 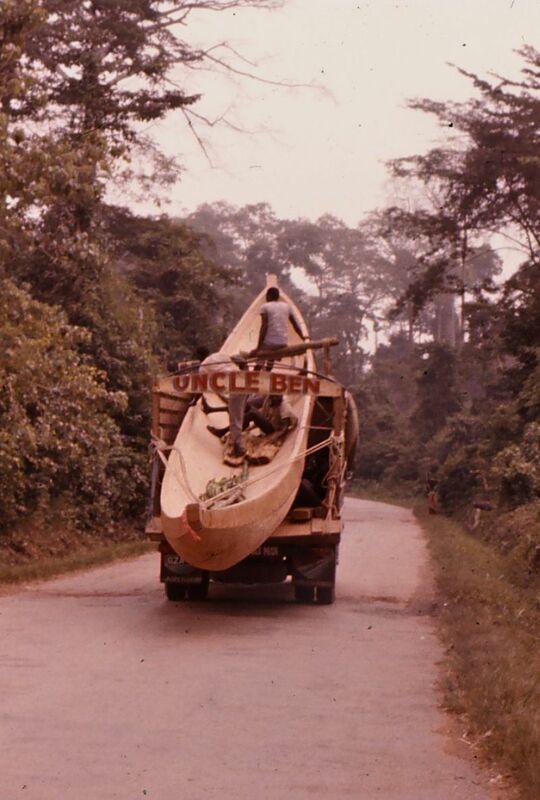 On another occasion, “Uncle Ben” passed through town, laden with a similar cargo, proving that where there is a will (and willing hands), there will be a way. 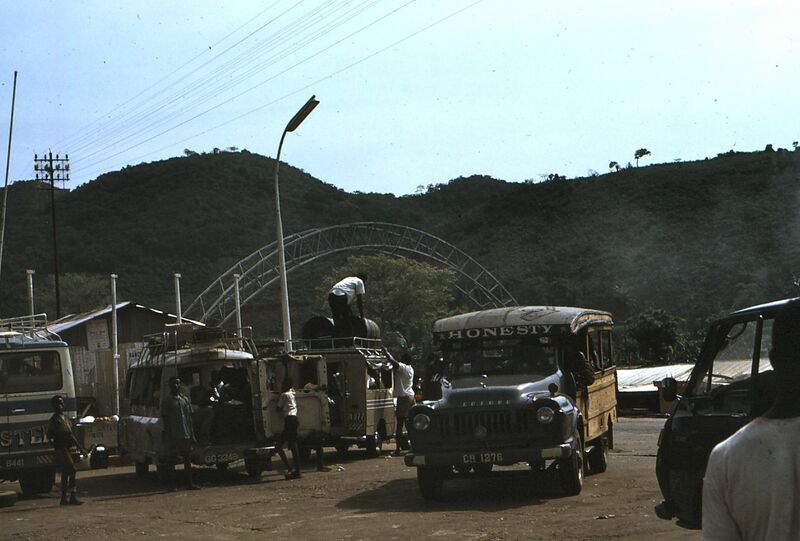 The arches of the Adome Bridge which provide the link between the Volta Region and the Eastern Region are in the background. 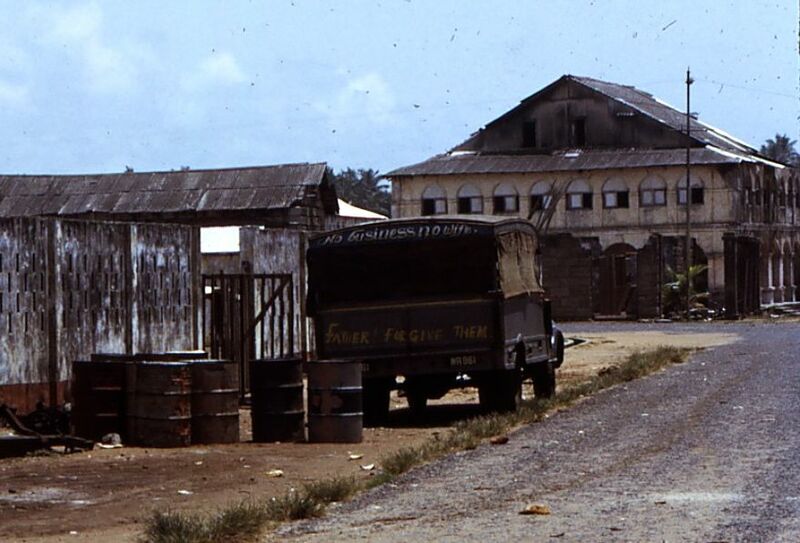 The bridge is located a short distance south of the Aksombo Dam on the Volta River, and at the time of this photo in 1973, was still in very good repair. In recent years it has shown its age and load restrictions now apply. When reading in the daily newspapers of the various capers of the current crop of politicians, it might appear that “Honesty” is also not as healthy as we would like it to be!! 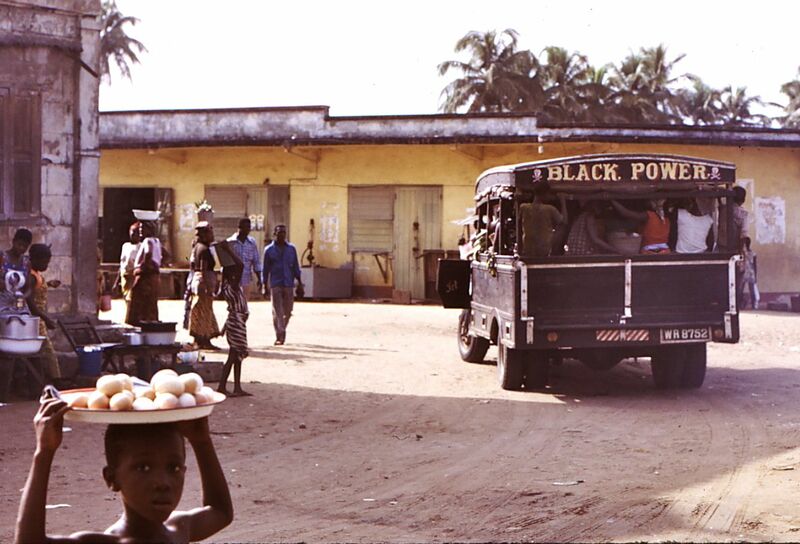 In 1957, Ghana led the way for other African countries to reclaim their independence from the colonial powers. 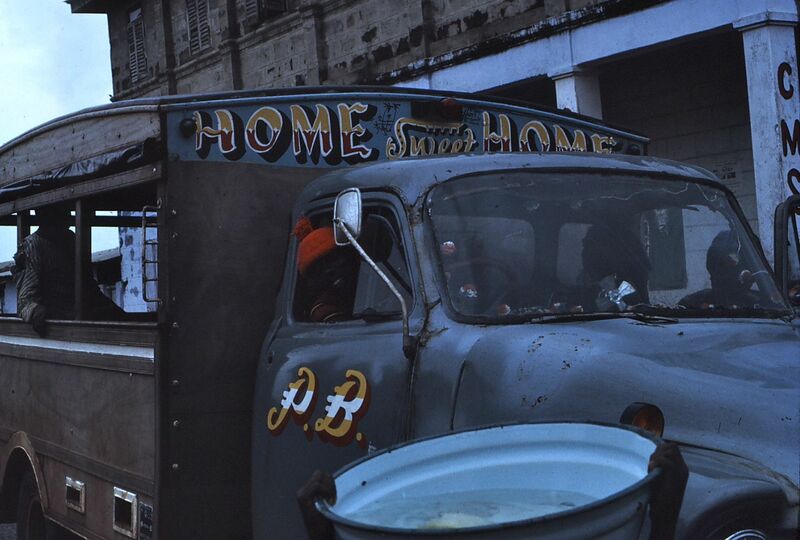 This lorry, delivering a load of passengers to the market at Half Assini sometime between 1971 – 73, may be making a reference to that or it may be simply stating something that all Africans have always known – there is a power in Africa that comes from its people and that now can be found around the world.